Found your next furry love? Apply to adopt them into your forever home! Thank you for choosing to Adopt and Not Shop! By adopting a rescued animal through Pawprint Foundation you are helping to reduce the suffering of homeless dogs and cats by helping us support and fund desexing! This Adoption Application helps us make an informed decision to grant your wish to take your next best friend home, that the pet you are choosing to adopt is suitable for you and your family in a 'forever home' arrangement. All animals adopted out from Pawprint Foundation will be desexed, microchipped and vaccinated. Note: If you are wishing to adopt more than one animal at the same time, please complete a form for each. If you have the advert photo of the cat you wish to adopt, please uploads. It here. Leave field blank if not known but if you do know their Pound Reference or Microchip Number, it is really helpful! Please include the date of your meeting too, if you recall it. In this instance we will forward your contact details to the Carer to make contact with you. If you are not over 18, please enter the name of your parent/guardian and their contact number. If you have difficulty uploading from your device, please email both items to pawprintfoundation@outlook.com after you have completed and submitted this form. A reminder will be emailed to you automatically after submitting this form - please check your junk mail if you have not received an email from Pawprint Foundation. Council rules and regulations vary from region to region and can include compulsory registration fees, amount of pets per property, restrictions on allowing pets to roam, being allowed outdoors, etc. 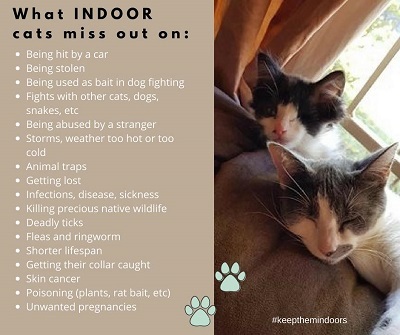 This section only applies if you have pre-existing cats or dogs in your home already. Do all pets in your care get along with other animals? If you do rent or board, do you have formal approval to take on the pet you are applying to adopt? Upon completion of this form you will automatically be sent an email to hold onto that contains bank details. Please refer to that information to make payment IF your application is approved. We do ask that cash payments are avoided where possible. Mobile phone bank transfers onsite on or before collection are accepted if you can immediately display and even SMS the receipt to the person you are collecting from. Please refer to the advertisement for exact fee however as a guide: Kittens to 6 months are $135, Teenagers 6-12 months are $75 and Adults over 12 months are $55, Unique/long hair/breed cats prices on application. If you do not know the fee for any reason of the cat you are applying for, please write TBC. (Optional) Currently our Kitten Scouts program, which is operating to save at risk kittens being given away for free on social media sites where they are often picked up by dog baiters and cruelly killed and tortured, are desperate for donations to feed hungry mouths at our emergency drop location. If you would consider adding even $5 to your adoption, this would go a long way to helping us to continue to save more cats and kittens that need our help. Please note that Pawprint Foundation is currently awaiting DGR status so is unable to issue tax-deductible receipts at the moment. Please put estimated total here of your adoption fee and any applicable donation. We will confirm any deviation from this at approval stage if necessary. If you do not know your adoption fee, write TBC. You agree to maintain and house the pet under the conditions of the applicable State Acts and Regulations governing the care of companion animals and meet all your applicable local council by-laws. You understand that it is your legal responsibility to register the pet in your name with your local council (if applicable), and you are responsible for any cost or charges incurred should the pet be impounded. You agree to keep this pet's microchip and ID details updated and correct at all times and will submit the Change of Owner/Ownership Transfer form (if applicable) to the microchip registry within 21 days of having the pet in your care. Any associated costs charged by a registry is your responsibility. You agree to provide all regular veterinarian treatment, including vaccinations and parasite control, and will immediately seek treatment for any illness or injury. You agree to seek professional advice from a registered behavioural trainer if this animal develops any serious behavioural issues. You agree to adopt the pet and will consider the pet to be part of the family and, as such, be welcomed into the family home and sleep inside the home or in an enclosed, safe, protected area at night. If a pre-approved trial period is granted (and must be done so in writing), the pet will remain the property of Pawprint Foundation during that agreed trial period. Pawprint Foundation reserves the right to conduct initial property suitability checks before approving applications. These may be random or to confirm any potential areas of concern. You agree that adoption fees are non-refundable for change of mind or change in personal circumstances. If you have any issues post-adoption we will endeavour to assist you as best we can - please also refer to the following related points. You understand that Pawprint Foundation cannot be held responsible for the pet should it suffer ill health and/or develop an unsatisfactory temperament. If, for any reason, you should need to rehome the pet, you will contact Pawprint Foundation in the first instance. Hold Requests - Requests for a carer to hold/reserve an animal that cannot be collected and fully paid for by the adopter within 1-2 days of Adoption approval (for any reason) is dependent not only upon the Foster Carer and Pawprint Foundation's approval, but also upon the payment of a $25 non-refundable deposit to Pawprint Foundation within 48 hours of both Adoption and Hold approval. The deposit will form part of the total Adoption fee and the balance is payable on/before collection. I acknowledge that I have read and accept the terms of this Adoption Agreement. I agree that all information I have provided to Pawprint Foundation is correct and true. I understand that failure to comply with the requirements of this agreement can result in Pawprint Foundation reclaiming this pet. I understand that Pawprint Foundation may not be able to accept my application and is under no obligation to do so. I understand that typing my full name below and submitting this contract that this contract becomes legally binding once approved by Pawprint Foundation. Note: Any special arrangements made by Foster Carers ("Carer") to deliver or meet potential/approved adopters in places other than the Carer's home are at the sole discretion of the carer and any arrangements are to be made separately with the Carer. In these circumstances, a goodwill contribution towards the Foster Carer's travel/fuel costs is considered courteous and is greatly appreciated often by Carers who already donate a lot of their time and money to foster.